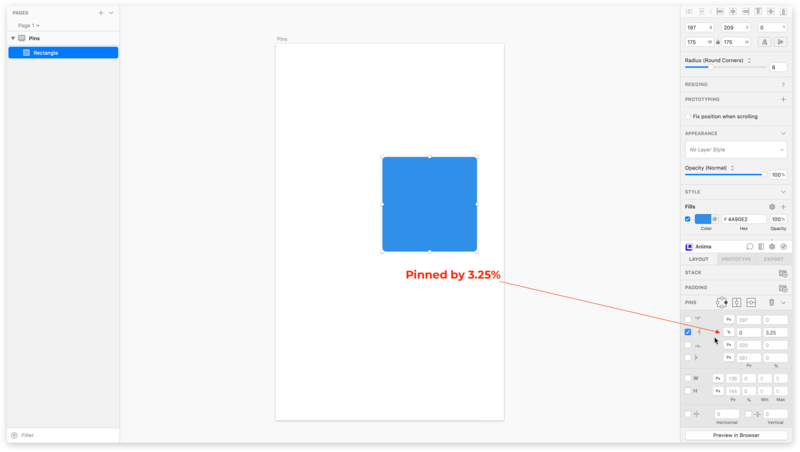 When selecting a Pin, Layout will set the pin constant value as the current pixel value. Once a Pin is set, Layout will enforce the pin value when the artboard is resized. In some cases you want to extend the Height of an artboard further than the default platform screen sizes, in order to show how the design looks when the user scrolls down. 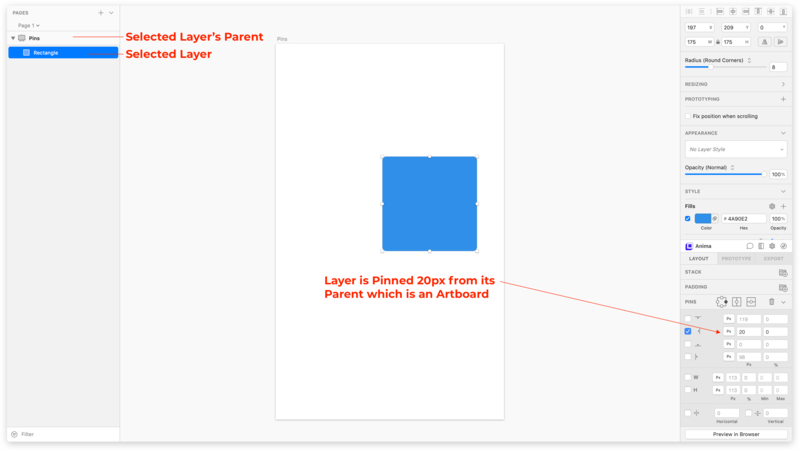 Layout will automatically recognize artboards that do not have default screen sizes and will never decrease their height to less than their original height. 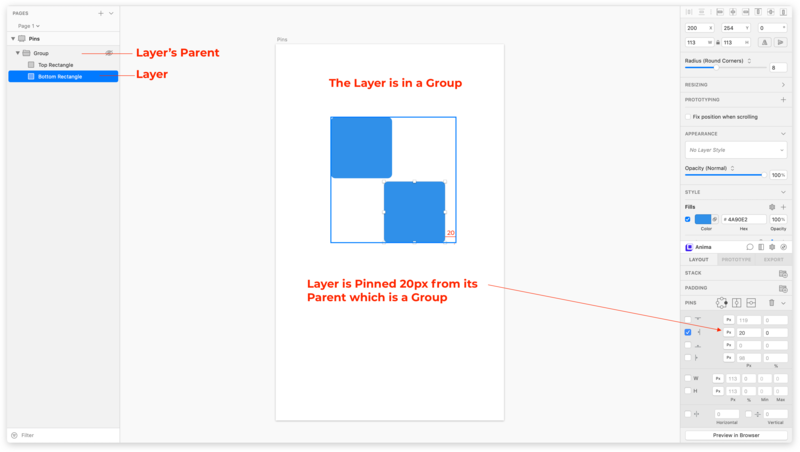 You can center a Layer horizontally to its Parent. You can center a Layer vertically to its Parent.